I really love it when fashion inspires you to not only find your style but to also influence the way you decorate your home. It is such great news when high street fashion stores decide to incorporate Interiors to their business and better still collaborate with the company that I represent. The two Swedish companies Rebel Walls and H&M have come together to create a gorgeous wallpaper using H&M’s Home exotic design inspired by nature, using flowers from the Protea species. The floral art can also be found on some of their items for the H&M Home spring collection. If you love the use of colour from the Birds of paradise to the palms and flowers used in the wallpaper. Then here at Atom Interior Styling we are all over it. The art work produced by local artist Carolyne Merren shows the colour in a different way and incorporates some lovely textures. ‘The Storm’ Everyone see’s/reads a piece of art differently allowing us to use our imagination. I Love Carolyne’s title for this a real tropical storm with all those bright and fresh colours. As i said Atom Interior Styling are all over the stunning colours expressing their way through H&M home, wallpaper and Art work. To finish off your look partner it all up with these beautiful colours supplied by Atom Interior Styling from Painthouse. 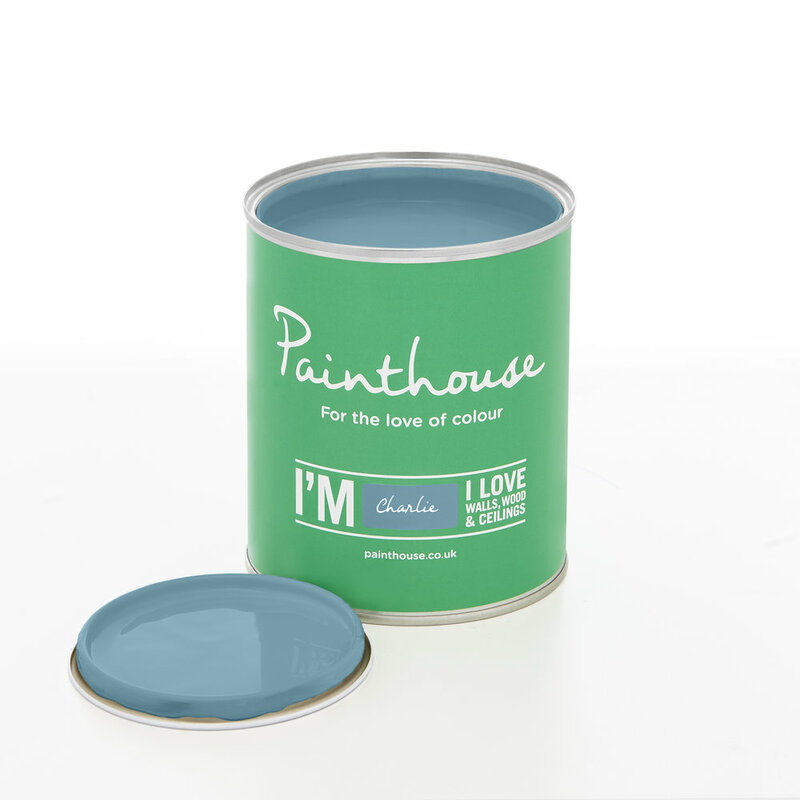 Pair the look up with any of these paints suitable for Walls, Ceilings and Wood..
‘Charlie’ This cool Nordic character is a clear cut handsome blue colour, with the faintest hint of Green persuasion. ‘Bjorn’ Like an ever-glowing ember this enriching red colour will gently warm the coldest wall or create a blaze in a south-facing room. These are just a few of the colours, to see more click below.